Cologne – They have some of the best seats in the ground, yet not all of them were feeling so fortunate on Matchday 2. The Bundesliga coaches' work does not end at the final whistle either. Scores of interviews need to be fulfilled before they can start to analyse in greater depth what they said in these quotes, collated by bundesliga.com. Ralph Hasenhüttl (Ingolstadt): We fell behind at our best moment of the match. We were able to keep them at bay as well as we could, but then we just caved in to their quality. It was an important experience for my team. We tried to remain courageous and we were punished for it. It wasn't that much fun as we fell apart at the end. 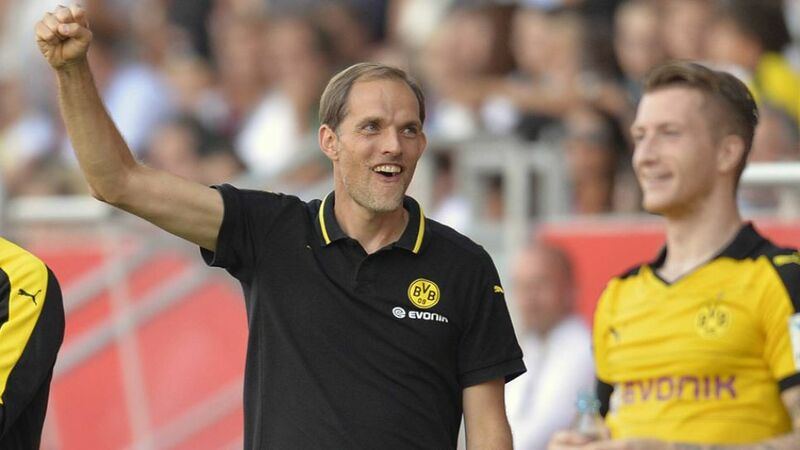 Thomas Tuchel (Borussia Dortmund): Yes, I knew we were top of the table when we were 3-0 up, but what pleased me most was the performance. We were always there, created lots of chances and I'm proud of the team for sustaining this level of performance for the full 90 minutes and never letting up. I'd hoped we would get our reward for such a good game. Markus Gisdol (Hoffenheim): It's hard to find the right words because we're all so disappointed. I've got to pay my team a huge compliment. They had Bayern on the brink of defeat. Pep Guardiola (Bayern): I'm happy with the win and above all the performance. We knew it was going to be hard here as Hoffenheim have always caused us problems down the years. Lucien Favre (Gladbach): We were a bit hasty at times in the first half and conceded an unnecessary goal. After the break, we were much better and we deserved to equalise. Even after that we had some big chances which we unfortunately didn't take. We were punished ruthlessly for our profligacy and it's extremely disheartening. We would have deserved at least a point. We've got a lot of work ahead because we just made too many individual errors. It just didn't go well for us on the whole. Martin Schmidt (Mainz): We had really high hopes for this game – we wanted to fight, run, win our tackles and let our quick transitions pave the way to victory. We did most of that. We defended well to start with and broke well, then Gladbach got better. That's when we took a fortunate lead. We had some real problems after the break and certainly also had the luck we needed not to fall behind. All in all, I'm very pleased with this win. Andre Breitenreiter (Schalke): After going behind so early, I saw my team show great morale and belief in themselves to keep going. We didn't get our full reward in the end and that's certainly because the final ball was often lacking to create the really big chances. Dirk Schuster (Darmstadt): We came here with a lot of respect, but no fear. Our aim was to be courageous, keep probing and then take our chances. With Marcel Heller and Konstantin Rausch, we've got two quick players out wide and they allow us to break quickly. We were also very compact at the back and willing to put in the mileage. Peter Stöger (Köln): We've got a point against Wolfsburg and there were times in the game when we could even have got another goal. You could see what quality there is in the Wolfsburg team, but my team played really well and the fans should be going home happy. Dieter Hecking (Wolfsburg): We didn't play well and lacked inspiration for 60 minutes. It was the same against Frankfurt and now again today, even more blatantly this time. We've got to turn the corner quickly. Michael Frontzeck (Hannover): We were inferior today, even though our engagement and determination were spot on. Leverkusen are not the kind of team we've got to be looking to match up to, though. We know that we've got a great deal of work ahead. Roger Schmidt (Leverkusen): It was a good game from us and we could have made it 2-0 to be a bit more comfortable. Fortunately, we've put the defeat in Rome behind us. This win over Hannover will give us self-confidence for the return against Lazio on Wednesday.